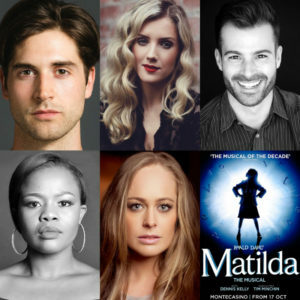 Matilda the Musical presented by Pieter Toerien and GWB Entertainment, has a brand new and exciting South Africa cast. The multi-award winning stage adaptation of the much loved Roald Dahl classic was originally produced for the stage by the Royal Shakespeare Company. The first international tour will commence in South Africa in October 2018. 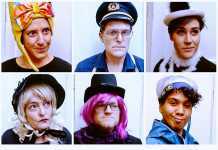 The remaining adult company features Jasmin Colangelo, Katrina Dix, Sinead Donnelly, Michael Gardiner, Kent Jeycocke, Weslee Lauder, Carlo McFarlane, Kenneth Meyer, Daniel Parrott, Adrianna Patlaszynska, Jonathan Raath and Logan Timbre. Matilda the Musical South Africa will begin performances in Johannesburg on 17 October 2018 at The Teatro at Montecasino and will transfer to Cape Town in early December where it will run at Artscape over Christmas. Ryan graduated from Rhodes University with distinction in Drama and Political and International Studies. Ryan’s theatre credits include Jayne Batzofin’s Measure UP and the South African premier of Joshua Harmon’s Significant Other, directed by Greg Karvellas at the Fugard Theatre. 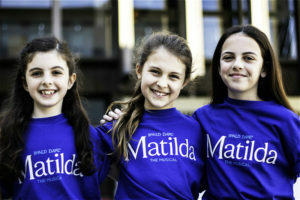 Matilda will mark Ryan’s musical theatre debut. Bethany was last seen on the South African stages as Kathy Selden in Singing In The Rain. She started her professional career touring in High School Musical – Live on Stage for Pieter Toerien and Hazel Feldman and has gone on to play Sandy in Grease, Betty Schaefer in Sunset Boulevard and Maria Rainer in the international tour of The Sound of Music. Stephen graduated from the University of Cape Town in 2006. 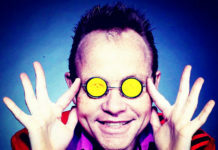 Stephen’s theatre credits include Rooster Hannigan in Annie, Riff in West Side Story, Sky in Mamma Mia, Johnny Smit in Hello and Goodbye, Steve Baker in Showboat, Hank in Jersey Boys, Sunset Boulevard, Jesus Christ Superstar, Macbeth, The Merchant of Venice, The Boys in the Photograph and High School Musical – Live On Stage. Film and television appearances include Honey 3, The Lost Future, No Man Left Behind and Loitering in Jozi. Nompumelelo graduated from AFDA and her theatre credits include Rock Of Ages, Home Affairs, Mass Mart Roadshow, Africa uMoja, Beautiful Creatures and Songs from Jazz Town. Film and television appearances include Skyf, Little One, Mad Buddies, My Perfect Family, Erfsondes and High Rollers. Claire was nominated for a Fleur Du Cap Theatre Award for best Actress in a Musical for her portrayal of Sally Bowles in Kander and Ebb’s Cabaret. Other credits include I Love You, You’re Perfect, Now Change, West Side Story, The Sound of Music, Sunset Boulevard, Dirty Dancing and most recently Sherrie in Rock of Ages. Matilda the Musical is the multi-award winning musical from the Royal Shakespeare Company, inspired by the beloved book by the incomparable Roald Dahl. With book by Dennis Kelly and original songs by Tim Minchin, Matilda The Musical is the story of an extraordinary little girl who, armed with a vivid imagination and a sharp mind, dares to take a stand and change her own destiny. Winner of over 85 international awards, including 16 for Best Musical, Matilda The Musical is now in its seventh year in London where it continues to delight audiences of all ages. Next articleIdols SA Season 14 Top 16!